The headline attached to this story is misleading, not because it’s untrue, but because it’s outdated. The headline reflected the facts when I wrote the story for The Reader (www.thereader.com) a few years ago, but since then Paul Bryant has left the Wesley House and the organization itself has disbanded. Indeed, there’s a story on this blog entitled “An Omaha Legacy Ends” and filed under the Paul Bryant and Wesley House categories that details the Wesley House’s closing after 139 years of service. Before that closure, Bryant led a revival of a once proud community center that had lost its way and its lustre. Bryant frequented the Wesley House as a youth, when it was a community force, but by the time he found success in the corporate world it had fallen on hard times. As this profile explains bryant left a corporate career to lead the nonprofit and to reinvent it as a youth academy of excellence. You will read about some of the great things he did there in a short time and about some of the dreams he had in store for down the line. In the end, the resources couldn’t match the vision. Paul is doing very much the same work he began at the Wesley House, only now through his own Leadership Institute for Urban Education. Paul is the author of the book, The Purpose Driven Leader. NOTE: This blog also contains a story entitled “Artist Therman Statom Works with Children…” that profiles how the noted glass artist worked with youths from the Wesley House. Founded as the Omaha City Mission by the Christian Workers Association in 1872, the United Methodist Community Centers-Wesley House is the oldest social service agency in Nebraska. Traditionally focused on the underprivileged, the agency’s adapted over the years to target different groups, trends and needs among the poor. The Wesley House itself has seen hard times, but nothing like the financial quagmire that closed its doors the end of 2004 and start of 2005. The ACADEMIC Summer Academy targets boys ages 7 to 12. An after school program works with boys and girls, ages 7 to 12, over the school year. In the spare conference room where he teaches a Business in the Boardroom class to 3rd and 4th graders, Bryant fits the exec profile with his crisp attire, tall frame and on-point demeanor. The fact he sounds like a banker, a brother and a preacher bodes well for building the broad-based support the organization needs. In the Wesley House’s brick and glass building at 2001 North 35th Street the hope stirred by the new program is expressed in the eager faces, urgent voices and insistent raised hands of children vying for coveted blue blazers. Both a prize and a symbol, the jackets are reserved for students who demonstrate a grasp of business principles usually taught in high school or college. Holding kids to a higher plain is what it’s all about. Bryant feels so strongly about it that his son Paul (P.J.) attends the academy/after school. A lifetime Omahan and a member of the storied Bryant-Fisher family that owns a long history of community service here, Bryant volunteered summers in an after school program operated by Wesley, located near where he grew up. He knew first-hand the positive activities offered there. When he heard about its problems, he felt “an obligation” to help rescue what’s been a community anchor. Eyebrows arched and tongues wagged when he left a Wells Fargo VP post to start from scratch with a tarnished agency whose vital signs read critical. He’s fine going from a sure thing to a long shot — and taking a pay cut — as long as kids succeed. Bryant, who holds master’s degrees in urban studies and urban education, is not an academic per se, but he professes to know what ails the community he calls home. “I’m from this community. I’m a Bryant-Fisher. I don’t need to do scientific research to know what goes on. I see a culture floundering to find relevance in society post-Martin Luther King, Jr. How to fit into a society that really hasn’t found the value in who you are, and still be true to and proud of who you are. He said the Gallup Organization surveyed the boys in last year’s academy and found some “have higher expectations than their parents. We want to raise standards, and we work with parents to do that.” He said post-testing revealed an increase in kids’ self-esteem. Anecdotally, the students seem to be doing better in school. Attitudes outside the inner city can get in the way, too, he said. 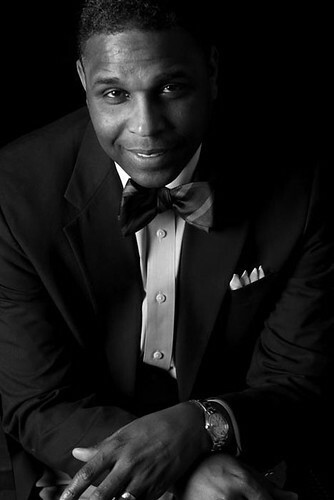 “When I shared with a foundation president that I want these kids to aspire to Ivy-league schools, she told me, ‘Well, wouldn’t Metro (Metropolitan Community College) be more realistic?’” He knew he’d lost her, but he told her anyway that “kids at this age haven’t lost the game — they have the potential to succeed” anywhere. His message has reached others. At a March 9 press conference he trotted out reps from many partnering organizations. Tutors from UNO, Creighton University, Metro and the Civil Air Patrol aid students with homework and “augment the educational process” with special training in math, reading, the arts, science, technology, etc. Kids display their handiwork in fairs and exhibits. They learn about different careers from professionals they meet on field trips or at Wesley. They track/trade stocks. Their summer garden project is also a small business venture. A partnership with Mutual of Omaha has created the Technology Project, a pilot program to help bridge the digital divide. Mutual is to donate 60 computers annually to the Wesley House for use by kids in an on-site computer lab now under development and for ACADEMIC Summer Academy students to use at home. If he can secure funding, Bryant envisions “keeping these kids together for 10 years. At that point, they’re going to be a group of smart young men that understand public and private sector finance and economics. They can truly help make north Omaha a vital part of the city’s growth and development, where we’re no longer the weakest link.” He has plans for early childhood and teen programs. Opening an academy in an area associated with remedial and recreation programs is a bold move for an agency that appeared on its way out. Before its recent change of course, Wesley House was providing services to youth in the state juvenile justice system. When juvenile justice staff expressed concerns over Wesley’s program outcomes and reporting methods, referrals made to the agency dropped. Soon, United Way raised its own questions about “the effectiveness” of Welsey programs and services. By 2003, all UW money was pulled. Wesley shifted to serving youth and families in the foster care system, but couldn’t bring in enough clients. With the loss of officials’ trust and of any steady revenue stream, Wesley exhausted $500,000 in reserves on operating expenses, saw its executive director resign and eventually let go all staff and shut down all programs. By then, Wesley was decades removed from its days as a model community revitalization engine in the 1960s-early ‘70s War on Poverty. It was the agency’s shining hour. Money poured in and national recognition followed an array of initiatives to empower blacks. Then-executive director Rodney Wead led efforts that spawned a black owned radio station (KOWH), community bank (Community Bank of Nebraska), credit union (Franklin Federal Community Credit Union), minority scholarship program and an ethnic culture center. Later, north side redevelopment organizations led by Michael Maroney (New Community Development Corporation) and Alvin Goodwin (Omaha Economic Development Corporation) sprung up there. Long before, the organization reached out to help youth, women and families living on the edge. One of 105 UMCC missions/institutions in the U.S., the agency began as a mission serving newly arrived immigrants then settling the Nebraska territory, one of many such shelters that grew out of the Progressive Area’s settlement house movement. Charged by a social reform agenda, these centers provided the types of programs and services then not being offered by government. As the times dictated, the agency shifted its response. The early 20th century migration of rural families into the city, along with the growing Native American underclass and homeless population, became a prime focus. After years operating downtown, the local UMCC mission relocated to its present site in 1958, just a few blocks from Franklin Elementary School, and with the move made serving the area’s poor black residents a top priority. The neighborhood reflects north Omaha’s dual identity. While many low income families are stuck in a cycle of poverty and the area is run down by distressed houses and vacant lots, pockets of pricey new housing (Miami Heights) and resurgent business/service centers (the revitalized Lake Street corridor from 24th to 30th Streets) can be found. Although Wesley receives some United Methodist church support, it’s long depended on most of its funding from the United Way and other public/private sources, leaving it vulnerable to the vicissitudes of donors. Only 12 months into Bryant’s reign the center is still reeling from the aftermath of the United Way pull out. That severing meant the loss of not only hard-to-replace monies — some $300,000 worth annually — but the even more valuable endorsement that comes with UW support. Aware of how much stature Wesley lost in the eyes of the establishment, Bryant, a paradox of by-the-numbers-cruncher, deeply spiritual Christian and community-minded legacy-keeper, approaches his task to reinvent and redeem the agency as nothing less than a calling from above. To justify leaving behind a six-figure income with Wells Fargo (previous to that he was at Gallup and First National Bank), he’s put aside cold hard calculations and proceeded on faith. In short order, he introduced his new vision and set about restoring the agency’s good name. He promised to retire its $40,000 debt in a Biblically-inspired 40 days. He wiped out the deficit in 36 days. But getting there was never a sure thing. The margin for error is still slim given the $20,000 in monthly operating expenses. “When I came, we had two weeks before our doors could be shut. Now, we’ve probably got a two-month cushion. We are not where we need to be but things are looking much better then they were this time last year,” he said. Another concern is the small number of children being served. Sixteen boys graduated last summer’s academy. Enrollment begins next week for this summer’s academy. A Summer Fun Club currently has 24 kids signed up. About 48 kids attended this past school year’s after school program. It’s not all about numbers, but as numbers go, monies flow. That’s why Bryant, who emphasizes recruitment is largely by word-of-mouth, hopes to see a spike in enrollees. To bolster the financial footing, ensure continued operations and endow future growth, he hopes grant applications made to foundations and corporations pay off. Getting back in the UWs good graces is another goal. He’s also organized benefit events involving Omaha native and pro football Hall of Famer Gale Sayers and his wife Ardie, who are making Wesley House their official Omaha charitable cause. On April 28, a DVD big screen projection of the original 1971 made-for-television movie Brian’s Song was screened at Omaha Central High School’s auditorium. Bryant said the event raised about $2,000, enough for the agency to pay off a line of credit. 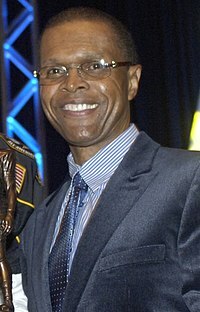 On June 19, the Gale Sayers Wesley House Classic is set for the Players Club at Deer Creek. Entries for the golf tournament sold out a month in advance. Among the celebrities expected to hit the links are National Baseball Hall of Famer Ferguson Jenkins, Heisman Trophy winner Johnny Rodgers, Cornhusker quarterback legend Jerry Tagge, the NFL’s first black quarterback in Marlin Briscoe, former NBA All-Star Bob Boozer and Creighton University head basketball coach Dana Altman. Tee-off is at 10 a.m.
Bryant knows public events like this can only do so much. Bottom line, he and the Wesley House must prove the agency is back to stay and demonstrate they’ve found a sustainable niche that others buy into. One indication he is there to say, is the new house he and wife Robin are building in the nearby Miami Heights development. Recently, I stumbled across some information on the Internet that surprised me because the United Methodist Church Nebraska Conference website was announcing that a historic social service and community center in Omaha, the Wesley House, was closing. This was news to me, which I found odd since I am in the news business in Omaha and the organization said to be closing was one I was quite familiar with. Yet, I had heard nothing about it and to my knowledge nothing had appeared in the local media reporting this development. A couple phone calls quickly confirmed that the Web announcement was true and that I was indeed the first journalist on the story. It has to be one of the first times here or anywhere that an organization serving the community for nearly 140 years, as the Wesley had, was going by the wayside without any mention of it in the press. The following story I wrote for The Reader (www.thereader.com) rectifies that, providing readers a bit of context for the enterprising role the center played at one time, how it lost some relevance and stature in recent years, and why the powers that be decided it was time to close the Wesley after all this time. Omaha’s oldest social service agency closed earlier this year with a whimper, not a bang. The Wesley House Community Center, a United Methodist Church mission since 1872, has ended 139 years of service, confirmed Rev. Stephanie Ahlschwede, interim executive director and head of United Methodist Ministries in Omaha. The agency’s two-acre, twin-building campus at 2001 North 35th St. will be sold, she says. And it’s unclear who will purchase it. Wesley served the African-American community for the last half century. At its peak, it offered youth and adult programs and spun off a black-run radio station, a community bank, a credit union and a pair of economic development organizations. But Wesley lost traction in the 1990s. Later, when management came under fire, primary funding support was pulled. By the early 2000s, Wesley barely hung on as a youth center. In 2005, Paul Bryant came on as executive director to shore up the nonprofit’s reputation and finances. He largely succeeded through the youth leadership academy he launched. In October, Bryant tendered his resignation with the understanding Wesley would continue. “Last year was our absolute best year at the Wesley House. Things were hitting on all cylinders,” he says, adding that the agency’s annual fundraising dinner and golf tournament were successful. However, financial pressures remained. He says the academy struggled competing with larger, better-funded programs with more facilities. It scrambled just to meet operating costs. Besides, he says, “it was time to go, my work there was done. I felt a calling to take this work and expand it outside the walls of Wesley House into the schools.” He’s doing that under his Purpose Leading brand. Bryant says he offered to remain through 2010 to assist the transition once a new executive director was hired. On Nov. 12, Ahlschwede was appointed. Bryant says he was then asked to clear out and disband the academy by Nov. 19. Ahlschwede says she and the board intended to keep the center open, but closer examination revealed it wasn’t financially sustainable. With Bryant — the center’s chief programmer and fundraiser — leaving to form his own nonprofit, the board soon decided to close the agency. “They probably got a first-hand look at what it took to keep that thing afloat — I raised close to $2.5 million in the time I was there,” Bryant says. Ahlschwede says she and the board concluded it was time to break the decades-old cycle of underfunding and revolving programs. “We’ve been on a roller coaster here and at some point you can’t ignore it anymore,” she says. She’s aware a legacy’s come to an end. “It’s hard to end things and to say no to things,” she says. “When you talk to United Methodists who’ve been around about Wesley House, everyone sighs and is really sad because there’s been all these dreams and a long, rich history with many visionary and charismatic leaders, including Paul. Bryant learned of Wesley’s demise from The Reader. Omaha Economic Development Corporation president Michael Maroney shares a heavy heart over the news of Wesley’s closing. “It had meant so much over the years, particularly in the ’60s and ’70s, when it actually was doing unprecedented things,” says Maroney, who worked there on three occasions. Bryant and Ahlschwede express confidence in Maroney’s stewardship should OEDC proceed. The OEDC board is expected to decide before June.